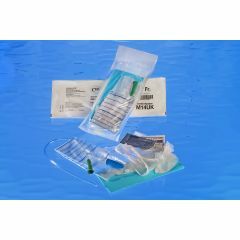 The Cure Medical U Shaped Pocket Intermittent Catheter Kit is a high quality DEHP and latex free product that always has fire polished eyelets that are smooth and less irritating. The U Shaped packaging enables men to discretely carry the product in a pants pocket. bad packaging practices . not discrete has catheter. labels all over package. Frequently travel.. active, avid walker. Sterile Insertion System. Easy to carry and conceal. Reduces the risk of UTIs.. Using bag is optional.. Non Latex..
Would like larger Fr size. Would like larger Fr size. Great for on the go.. Frequently travel.. Airport security friendly. User should have Health Care Profession instruction on sterile insertion technique. Or instructions for sterile technique online to minimize risk of infections. I'm a nurse so I was already skilled in sterile technique. Can be carried discreetly. Can be carried discreetly. Lube is included. Convenient. The best catheter for on-the-go. So easy to carry. Convenient packet of lubricant is included with each catheter. No muss, no fuss.